Welcome to Day #5 of French Chocolate Week. 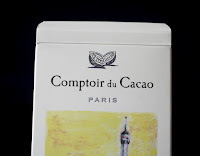 This Tablette Paris Cacao Tour Eiffel Dark Chocolate 72 percent bar was made in France by Comptoir du Cacao (France Cacao) (L'Anche, Bazoches, France) and imported to the U.S. 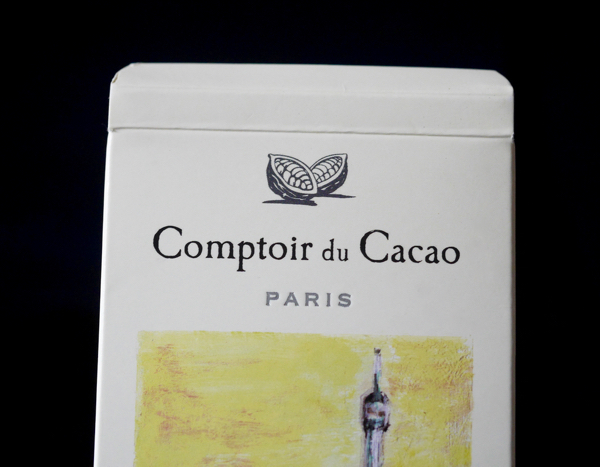 The packaging bears a quintessentially French scene. 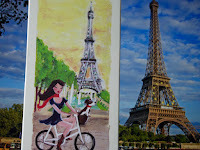 A young woman with long brown hair is riding a bicycle in boots and dress (with her small dog in a basket in front), wearing red lipstick, and a red scarf around her neck. 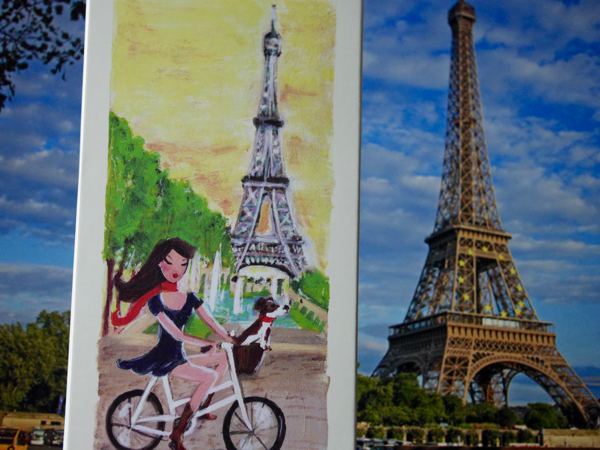 She glances at us while she rides through the park on a sunny day, with the Eiffel Tower rising up in the background. Ahh, to be walking through the park in Paris on a spring day. 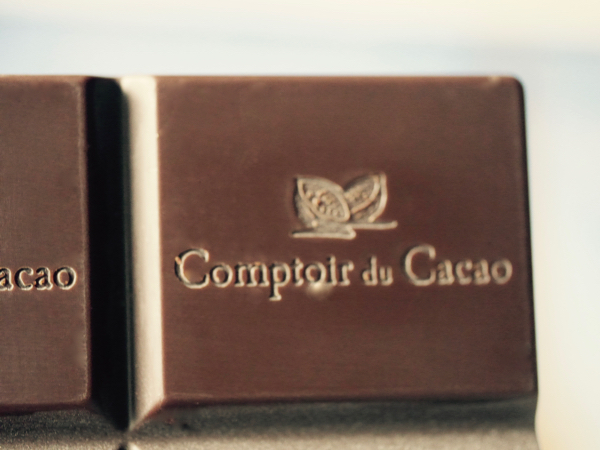 And, what about the dark chocolate inside this lovely package? The well-tempered tablette was made of 10 easy-to-separate squares, and had a pleasant bittersweet chocolate aroma. The melt was smooth and mouthfeel slightly creamy. The texture and flavor were very uniform. And the bar had a clean finish with no off notes. Comptoir du Cacao (literal translation is Cacao Counter, but I don't think this does the name justice) is a family-run business that has a Chocolate Factory in Bazoches, and two shops in Paris.